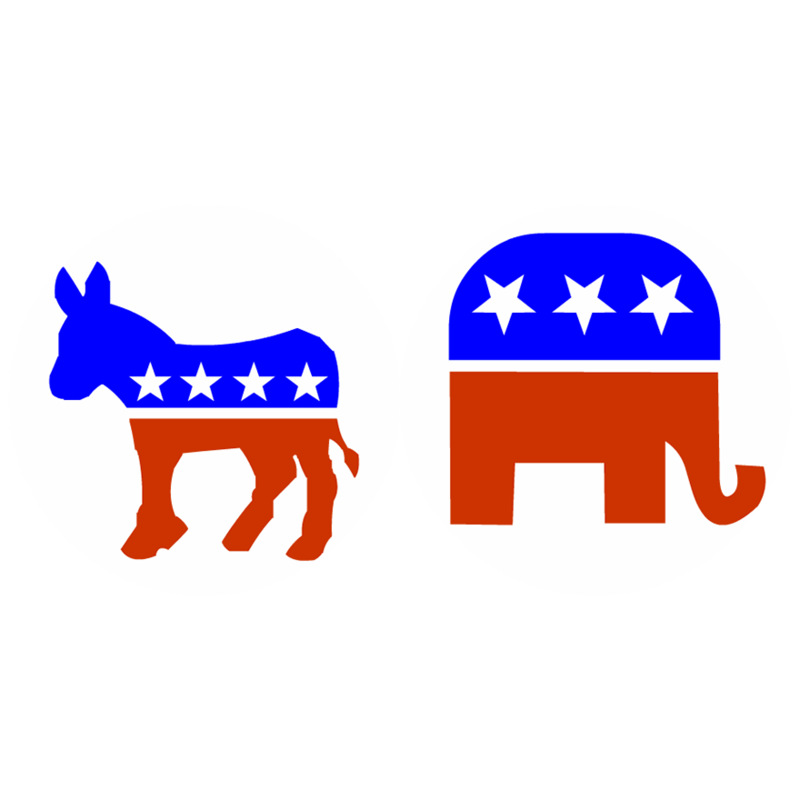 For those interested in what’s going on in the realm of politics, or even those who hardly care for such things, it’s impossible to remain oblivious to the divide within the US government since President Trump’s ascension to office.The various conflicts within the government reside between Democrats and Republicans–the two main parties– which oppose one another in practically all ideals and policies. But with Trump in office and determined to fulfill his promises made to the people, divisiveness and animosity have arisen among politicians. Both parties have their own ideas on how to make America great again. For example, on the subject of border security, Democrats believe in open borders and allowing migrants to live undocumented while Republicans believe in securing it. Concerning laws on immigration, Republicans are welcoming to those who come in legally and are firm on deporting those who either came illegally or have overstayed their green cards or visas. On the other side of the aisle, democrats don’t believe in deporting illegals or those who have overstayed, are also in favor of providing financial help, and want to offer far easier access to citizenship. However, the issues of border security and immigration are often overlooked as one condemns the other on their lack of morality or decide to play the blame game on who acts unethical and who doesn’t. It’s even worth mentioning that in 2006, while former POTUS Bill Clinton held office, the Secure Fence Act had been proposed by Republican Representative of New York, Peter King. At the time, many on both sides of the aisle remained all for the idea of better border security and cracking down on illegal immigration. In fact, Barack Obama, the then-Senator of Illinois, had supported the proposal, saying “the bill before us will certainly do some good. It will authorize some badly needed funding for better fences and better security along our borders and that should help stem some of the tide of illegal immigration in this country”. But the interesting thing is there are even divisive views within each party. Continuing on the subject of the wall, Will Hurd, Republican Representative of Texas, doesn’t necessarily believe in the effectiveness of a wall, nor does he believe of what Trump refers to as “crisis at the border” to be a crisis, but rather “a myth”. He even stated that a wall was a “3rd-century solution to a 21st-century problem”. Instead of building a wall, he suggested the use of technology to help secure the southern border. Including Hurd, eight other house Republicans agreed that a wall would not be an effective solution and voted against wall funding. It stands true that both parties have their own reasons of strongly supporting or opposing solutions to proven issues, but throwing fire to divisiveness and resentment will not only divide the government, but weaken the union of the people. Despite their views, whether they agree on a solution or not, there is one aspect that all politicians, Democrat, Republican, or Independent, need to find common ground on, which should be their duty to serve the American people.